This is an idea that I got from a colleague many years ago when I was an Educational Assistant. Every month, my students have a new activity book. I don't really like the word "activity book" because it sounds like it's just busy work and not that important, therefore the kids don't take it that seriously. However, I couldn't come up with a better word, so, I'm calling them Activity Books. 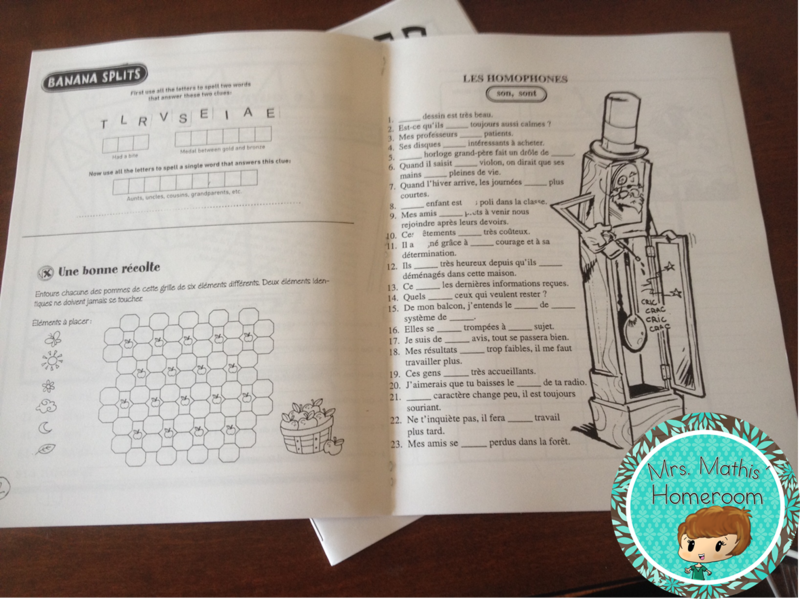 For the last few weeks, I've been rummaging through all of my resource books for fun, engaging activity sheets that related to my plans for that month (for Français, English, Math, Science and Social Studies). I also searched all over the Internet, Teachers Pay Teachers being one of the first places I found stuff I liked. I found a LOT of great, free activities too! Then, I compiled everything into these booklets. I just have to photocopy each one now, 30 times, and create an answer key. How will I use these, you ask? In a few different ways. The obvious one is for my early finishers. I don't force them to work in their booklets when they are finished an assignement early, though. I have an anchor chart on my wall with suggestions of things they can do when they're done their work. This is one option. Also, since I included things that we are actually using in class and not just "busy work", I think I'll use them as part of my morning routine as well. 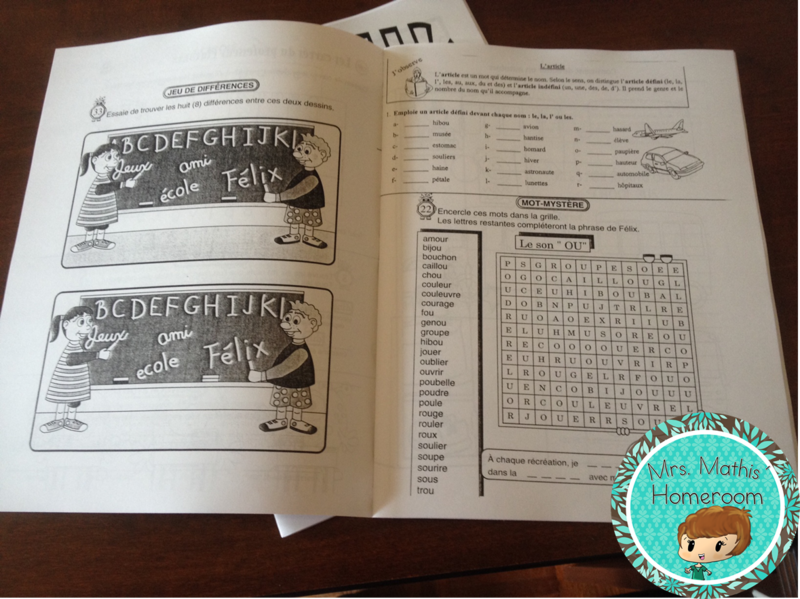 Maybe not every morning, but somedays, the kids will have to do a page or two for Bell Work. We'll mark them together as we go along. I had originally planned on making these myself and uploading them to my Teachers Pay Teachers store, but I just don't have the time this summer. It's on my To-Do list for next summer. Yeah. I already have one of those. Crazy, I know! 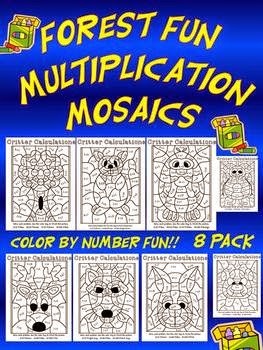 I bought these multiplication mosaics from Teaches Third in Georgia and put them in every one of my books. What a fun way to practice multiplication! I used something similar last year with my students and it was a big success. Kids still love to colour in Grades 4 and 5. 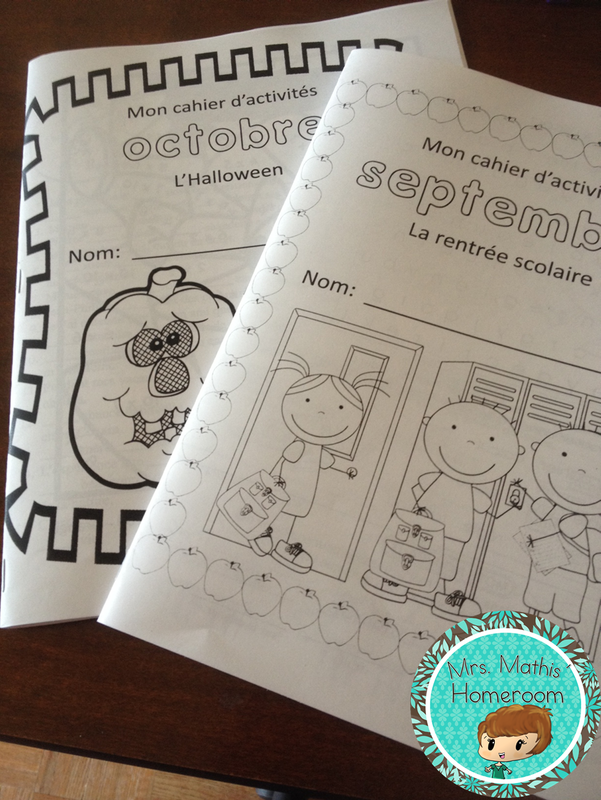 Do you have activity booklets for your students?